There are two main factors to remember when you want to get more traffic from Pinterest: first is prepare high-quality images on your website for people to share and the second Pin and share other people content. I love Pinterest. It is more a search platform like Google now. As much as social media is time-consuming, I want to give you the shortcut and bring you the expert from the service I use for Pinterest. Tailwind will help you to organize and schedule your pins very fast as well as get together with other Pinterest members and reshare each other Pins. 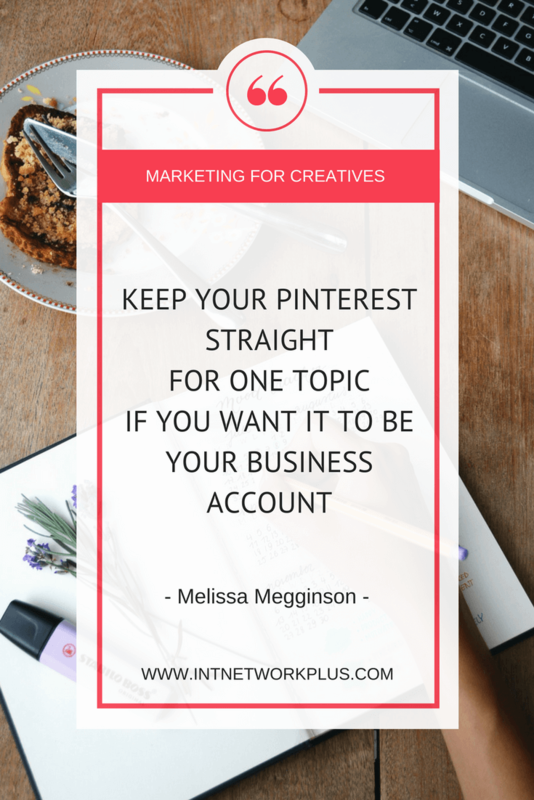 In this episode, Melissa Megginson shares how to get more traffic from Pinterest within next month. She is Marketing Manager and resident Cat Lady at Tailwind, the leading visual marketing tool for brands. In her 5 years at Tailwind, Melissa has won an ADDY award worked with major brands like Adobe and JCPenney, and is currently working towards an MBA from the University of Oklahoma. Melissa, please share with us your entrepreneurial story. Mine’s a little bit different because I’m not a traditional entrepreneur in the sense of starting your own company and getting, building everything yourself. Just sort of everyone at Tailwind is what I would consider intropreneur in a way. We’re all working towards the common goal of making world-class marketing easy for everyone and we have the freedom to try new things and do anything that we want to try and wear a lot of hats and just sort of have that entrepreneurial spirit within a company. Within a company that has 20+ people and constant chatter going on. It is a little bit different. But I’ve been with Tailwind since 2012. This is my first job out of college and I was the second person hired at Tailwind. As of now, I am the longest standing employee other than our two co-founders. I think that sort of speaks to how great our work environment is and how much I just love being here. 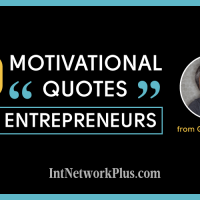 One thing that is similar for me to other entrepreneurs is when I started fresh out of college, I didn’t really know what in the world I was doing. There was a lot of Googling. There was a lot of watching webinars. There was a lot of emailing people and talking to marketers to figure out what is it I’m supposed to be doing here and how can I really help people make the most of their time on Pinterest. Since 2012 to now we have grown from 15 members to more than 150,000 worldwide. It’s been a really, really crazy journey. Even if I’m not the traditional entrepreneur, I feel very, very lucky that I have the freedom similar to an entrepreneur. And I also get to work in this incredible environment with a bunch of people that I’m so lucky to call my friends. That sounds fantastic. And even if you do not really an entrepreneur as we are but yeah, you surrounded yourself with this people. That’s great that you work with Tailwind for so long time. I really like the service and I do like Pinterest. 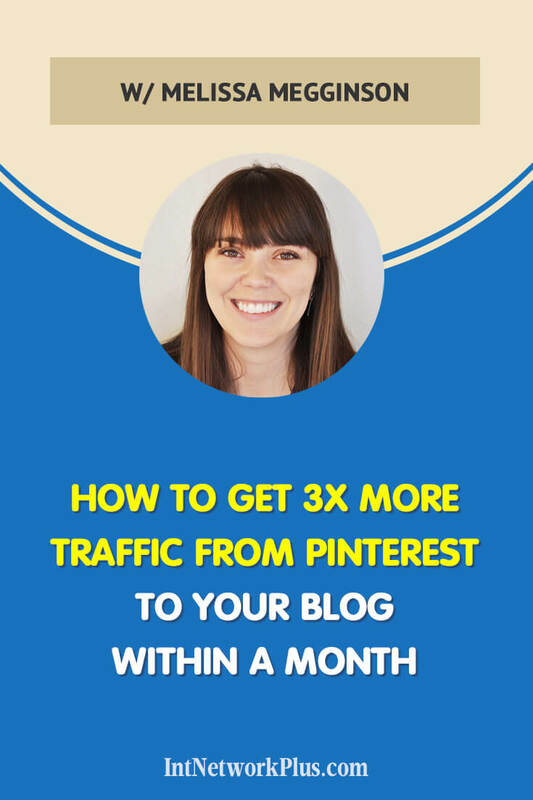 So I always wanted to ask those people, how can we really get more traffic from Pinterest? Because it’s an amazing platform and a lot of people just miss the opportunity of it. 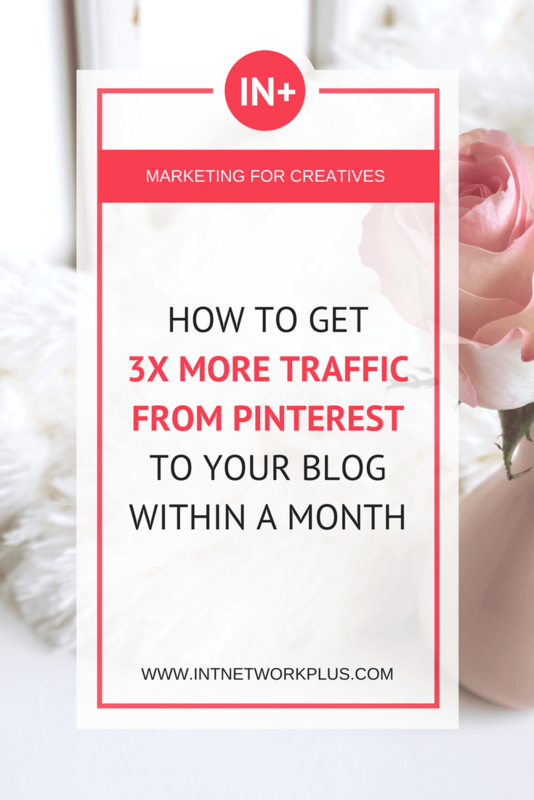 What do you think, what do we need to start with, if we want to get more traffic from Pinterest to our website? The very first thing I would start with is your website. Do you have pinnable images? Are the images on your site are catching? Are they the portrait style? Meaning they are longer than they are wide. 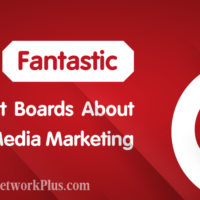 These are the kinds of Pins that really stand out in the Pinterest feed and makes people want to save those Pins as well as click through and discover and learn more about your company. Making sure that you have those pinnable images and I’ll touch a little bit more on how this work, on how to create those images later on. But just specifically talking about your website and how to drive traffic from Pinterest using your website. The next thing I would recommend is making sure you have a Pin it button. That’s when you go on the Internet and there’s the button on a site that you can click on and it’ll pull up all the images or the pinnable image, and you can Pin it right from there. You want to be encouraging people to do that. If you have a WordPress website, there’s a great plugin called Social Warfare. That’ll allow you to not only do Pinterest but also do Facebook, Twitter, LinkedIn, all of those platforms and create images and social text around this specific thing. You can have the wide image for Twitter and Facebook and then move along image for Pinterest and have those really rich keyword descriptions in there as well. If you don’t have WordPress sites like Wix, Squarespace, Weebly, all of those really great build it yourself websites also have easy plugins. Or if you are really fancy and the developer or at least know a little bit of code, then you can also embed a Pin it button into the meta-data on your website. That’ll enable it to be shown on your images and people can easily use it from there. And finally, the last thing I would say, the last thing for getting started, it’s kind of a strange way to put it, for the last thing I would say for getting started with your website is check out what’s already being pinned to Pinterest from your site. There’s a really, really easy way to do this. So all you need to do is go to pinterest.com/source/ and then type in your URL. For Tailwind, that would be pinterest.com/source/tailwindapp.com. There you can see recent Pins from your website and it will give you an idea of what people are interested in when they’re coming from your site. Maybe you can see if those pinnable images are coming through or if for some reason other ones are getting pinned and that are not really necessarily pinnable images and you can sort of hone your strategy from your site from there. Do you have any recommendations on how to create the Pin images that potentially will get more reshares and bring more traffic from Pinterest? Yes, absolutely, and I know I just touched on the importance of having those great images on your website, but not all of us are graphic designers or photographers or really understand how to create really beautiful images using Photoshop or fancy programs like that. Pin images that have high-quality photography, easy to read text overlays and a portrait style tend to do well. But even if you’re not a Photoshop PRO, you can easily create a beautiful pin. One thing I would recommend for the photos is checking out a website like Pexels. Which is P-E-X-E-L-S.com or unsplash.com. These two have totally free, absolutely beautiful stock photography. Not like the cheesy stock photography where you see like a hairy man in a bathtub with a banana for some reason, but actually really nice beautiful stock photography that you can download and use on absolutely anything including your Pins. Once you download those Pins, you can upload them into a tool like Canva or Adobe Spark to create those Pins. Both of those tools have really amazing templates as you can use or you can create your own template within those platforms. Both of them have every plan. I know Adobe Spark… I don’t think they’ve released a paid plan yet. The last time I was on it last week it wasn’t there so. But Canva does have a paid plan, but you don’t necessarily have to use it. Once you have your Pins built into the platform, you can then have that template set and use it again and again so that there’s a style and people will recognize your Pins when they see it in the feed. That’s another really great way to sort of build that brand recognition and get people to recognize your site. Would you keep it mostly with the image or sometimes people use only, for example, plaint color background and then just text? What do you think is more pinable? I don’t have any stats on that necessarily, so it’s just sort of whatever you feel is right for your audience because we’ve seen both do really well. We’ve seen the ones that are just well-designed text. It’s just using typographic and fonts to create a really interesting image. I would say that’s a little bit more difficult than using a photo from unsplash or pexels with the text overlay on top of it. As long as it’s easy to read and it’s eye-catching, I think those are the two most important things. But it just sorts of depends on what you feel looks good for your brand and not necessarily someone’s having great success with type only pins and bright colors, but I don’t necessarily want to do that. What about the title of the Pin, the text which you put there? Would you keep it the same as your article or I saw sometimes people create several Pins which is maybe the graphic will be different or the title will be a little different? I think it really depends. For pins that are related to getting back to say a list, a list of tips or tricks I think you could definitely create pins based on each of those tips or tricks as long as you are still including the title of the original blog post in the Pin description. Going back to that text that is found on the web page, Pinterest is trying to sort of crackdown on spam late. And one of the things that they’re looking at is making sure that the Pin image is matching what’s on a website. You don’t want it to be totally unrelated. You want it to look like it belongs, looks like it’s going to the right webpage or else there’s a potential that it could be flagged as spam within Pinterest. Could you please recommend us some strategies that will help us to get more traffic from Pinterest to the blog? Absolutely. I think the first thing I would recommend is being consistent with your pinning. Pinterest really wants to see that you’re adding high-quality content to the site regularly. This is going to include both your own content and other people’s content. A few months ago, Pinterest released that they recommend more of even split, so 50/50 between your content and other people’s content. So, don’t go into Pinterest just thinking that it’s a catalog for all of your products and all of your blog posts. Pinterest is a magazine. People want to go there to be inspired and flip through and see beautiful images. Those will include your own images as well as those that you’ve curated from around the web. Another thing that I would really focus on is having a community not only on Pinterest. But Pinterest makes it a little bit better and easier to have a community and build a community because you’re able to support one another. Having those like-minded bloggers that want to share your pins with their audience is a huge, huge upper leg and having more traffic to your Pinterest site. How would you create the community? I’m going to toot our horn a little bit at Tailwind and I’m going to recommend trying Tailwind tribes. This is a way to discover your audience, like-minded pinners that have an audience similar to yours and help grow together. This allows you to go in search. So, for food blogger they can search for something as niche as chocolate cake or they could search for the best food Pins. Within that tribe they would be able to add their content as well as share another people’s content because the more we’re sharing, the more we’re helping, the more we’re growing bigger, better together, the better. Tribes is really that community that helps curate all of that amazing content and help you leg up and helps you help others and meet other people in your niche so that you can work together and not only on Pinterest but outside of Pinterest as well. When you’re looking for those communities, how would you pick which one is the right for you? Would it be the smaller number of members or a large number of members? Will it be more active or less active? What would you pay attention to? When you do a search for tribes within the tool, there’s actually an activity monitor, so you can see how active that tribe is. You can click in and even see the type of content that’s in there, the rules that are set in there, how many people and you can really get a feel for the tribe before, for you have to join it. If you join a tribe, you think it’s great, but then it doesn’t necessarily work out you can always leave or you can start your own tribe. To answer your question specifically, we have actually seen people have a lot of success with smaller tribes. Our most successful tribe is actually just three people who are influencers pinning each other’s content. But that’s not to say that bigger tribes are not good. It just really depends on how focused the tribe is and what the activity monitor is for that tribe. Also, if you don’t see that’s exactly a perfect fit for you, then you can always create your own and invite your friends to that tribe. What if someone is not really familiar with Pinterest and they want to create their own community. How would they find people to invite there? I would recommend actually going to Facebook. There are some really incredible Facebook groups. I’m going to pull up my Facebook now and give one, in particular, a special shout out because it’s just so good. The Simple Pin Pinterest Strategy group is an incredible Pinterest group. They have a broad range of categories and niches on there. There are thousands of people. And Kate, the woman that runs it is a genius when it comes to Pinterest. She’s someone that we work with pretty regularly at Tailwind and she’s just so, so good at what she does. That group is very welcoming and willing to answer any questions that you have about Pinterest. While I’m tutoring the simple pin groups horn, it’s not to say that it’s the only one out there. So I would just go in and see what kind of groups are out there and potentially even join some that are within your niche. I know that there’s a travel tribe Facebook group. It’s kind of confusing, but it’s a Facebook group specifically for people in the travel community to create and share travel tribe pins. So they kind of share each other Pins on Facebook or you bring them from Facebook to Tailwind, to their tribes? They share the tribes that they create on Facebook so that they don’t have to have a public tribe, they can have a secret tribe and more hand pick of the people that are finding the tribe and joining the tribe. That’s just one strategy that’s worked for that particular niche. But again, if someone isn’t super familiar with Pinterest, a great place and you’d want to build a community, I would really check out some of those Facebook groups that are out there. What would you recommend to put into the search tab? How would you search for them? Search for Pinterest marketing. Whatever your niche may be, and then the word Pinterest. So, food bloggers Pinterest, pet bloggers Pinterest, things like that. Just getting those keywords in there and clicking through seeing the Facebook groups that are there and who have activities. That sort of thing. It’s similar to tribes actually, but I will say that Facebook groups are really, really great way to find a community. How often would you recommend to post on Pinterest? It really depends on how comfortable you are with scheduling or pinning each day. I would not say… there are blog posts out there that say you need to post 300 times per day. That is just not true. Period. Yeah. (Laughter) You absolutely do not need to do that. That’s totally overwhelming and you could get flagged for spam to be perfectly frank there. My recommendation whenever people ask me this is to start with five Pins per day and build your way up from there up to maybe 50 pins per day if that feels comfortable for you. You don’t need to go nuts. You don’t need to be pinning every second, as you said. Tailwind also has a scheduling tool that makes that a lot easier so you don’t have to be on Pinterest all the time putting out those Pins. It will create a schedule around when your audience is most receptive, most active, and you can just use the smart schedule and we’ll post those Pins at the right time so you don’t even have to think about it. What other strategies could you recommend to us so we could get more traffic from Pinterest? I would definitely recommend focusing on what works best for you. Pinterest is sort of one of those funny things, a little bit like Google, that what works really well for one person may not work really well for another person. Pay attention to your Google Analytics, your Pinterest analytics, your Tailwind analytics, whatever it is that you’re using. Pay attention to what those analytics are saying. What kinds of posts are earning you the most traffic? You can see that in Google Analytics by looking at the social traffic. Social traffic from Pinterest. What style of the pin is earning you the most staves? That’s something that you can see on Pinterest, analytics and Tailwind analytics. Making sure you understand what’s happening with your Pinterest presence is a really, really huge piece of that puzzle. It’s not going to be the same for everyone. Though there are best practices out there like pinning the portrait style images and making sure you’re keeping up your pinning schedule. That will be good for everyone, but not all sales are going to be the same. Not all categories are going to be the same. Things like that are going to be different and you need to pay attention to that. When you go to analytics, which stats would you pay more attention? And how would you use that for marketing more? For example, we got to one pin which we know got more repins or more shares. What should we do with this? How do we know if it’s a title if the image or what should we do? You can do some testing. 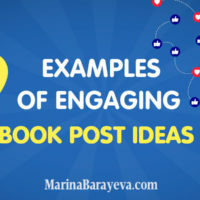 If you think it might be the image, create another pin in a similar style to that image for different blog posts and see if that one also performs well. If you think it is the keyword you can… actually one thing I did want to touch on with keywords is Pinterest has a really incredible keyword search option built in. If you notice that there is that pin that has certain keywords that you think are really driving traffic, you can go to Pinterest and the search bar type in those words and underneath you will notice that Pinterest gives you other words to look at that are related to what you were typing. That’s Pinterest telling you that when people search for this keyword, they are also using these words related to that topic. 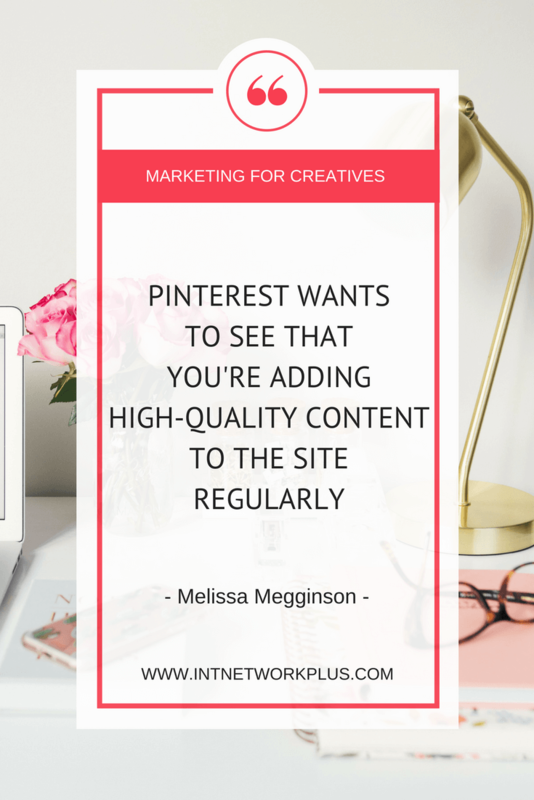 That can be a great way to come up with new content and new descriptions for your pins and to understand the traffic and how it’s working and what people are looking for when they go to Pinterest. When you talk about keywords and description, how long should it be and what should we focus more on the main keyword or like in Google now, people suggest to use long tail keywords? Which one works better for Pinterest? I don’t exactly know I will say that they are starting to use hashtags on Pinterest, which is a little bit different. We actually just had a Facebook live with Pinterest on SEO today. That was not one of the topics that we covered. But one of the things that Sarah from Pinterest did mention was that hashtags on Pinterest are really, really powerful for newer content. You don’t necessarily have to go back and add hashtags to the old content, but as you’re going forward and creating content in the future, definitely put in those hashtags. And the hashtags will be those keywords just flat out keyword: cake, chocolate cake, chocolate, those lists of keywords like that that are related to what you’re talking about. Thank you. If we want to get more traffic from Pinterest, what should we focus on: growing followers, pin a lot, create pretty images? Because I’ve heard the idea that on Pinterest it doesn’t really matter how many followers you have, but more important how often you have repins of your images. Yes. I completely agree. While followers are becoming important again because we have the follower tab on Pinterest. A million Zombie followers, a million followers that are not doing anything to engage with your content are worth so much less than a thousand followers that are actually engaging in repinning and sharing your content. Again, that’s another analytics thing. Seeing what pins are getting those repins and getting the shares that save as well as potentially even the board. What boards are really driving traffic for you and what categories are really working for you is another thing. And sort of started to learn more about followers as the follower tab get going. 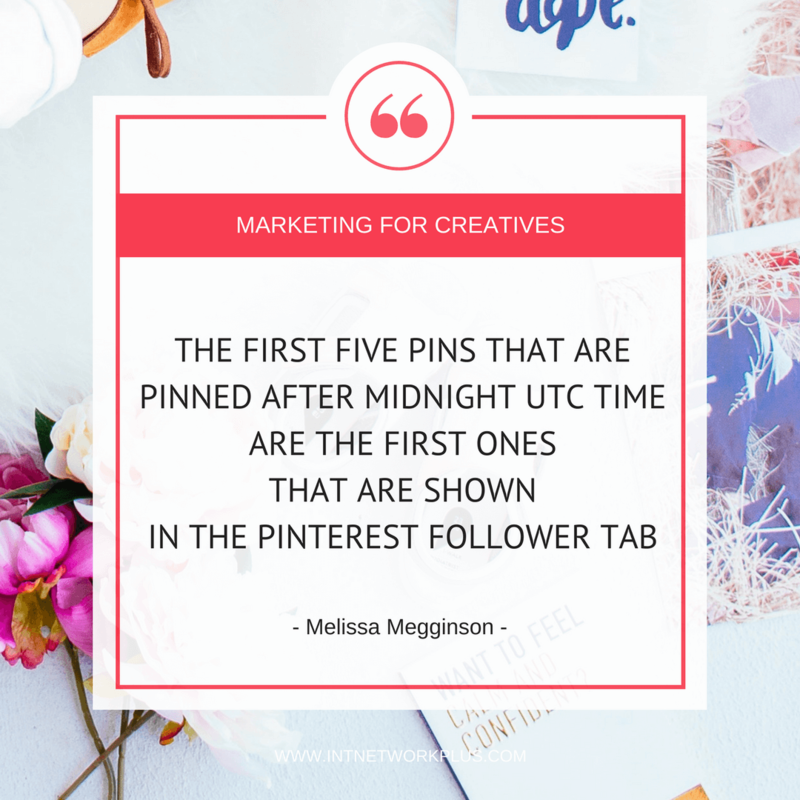 But another thing that we learned from Pinterest today is that the first five pins that are pinned after midnight UTC time are the first ones that are shown in that follower tab. That’s another thing to keep in mind. 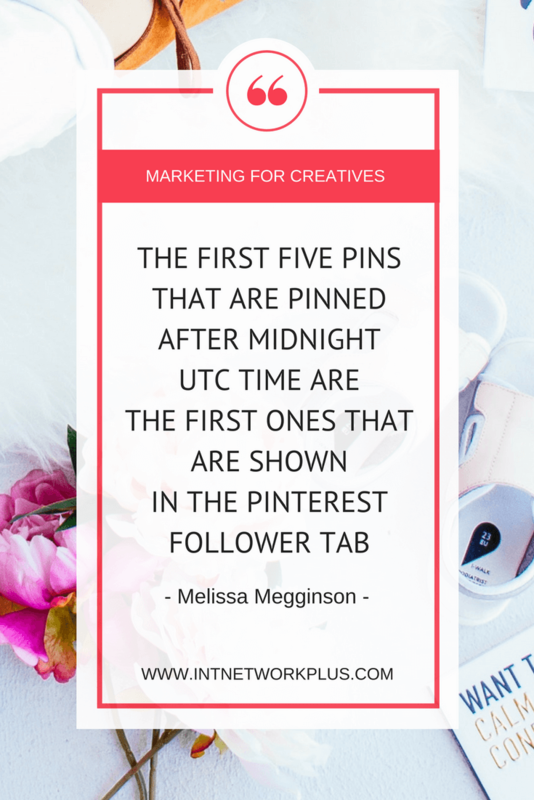 When you’re scheduling your pinning content is those first five pins after whatever your time zone is converted to UTC time, those are gonna be the pins that are showing up first in that follower tab to getting out to your followers. Going back to at what time to post, when we were talking about the Tailwind tribes, when would you recommend to add images to the groups over there so we can get more shares? There isn’t really a specific time within Tailwind. It’s just sort of depends when people are checking their tribe. Some people do it once a day, some people do it once a week. It’s whenever it’s convenient for you, really. Because people will see it and share it when it’s in their feed. So, the timing is less important in the tribes. What about the Pinterest scheduling? For example, if I schedule my pins through Tailwind and I use, there’s something like smart scheduler where you have the suggested time and there may be like one, two pins during the day and during the evening almost every 10, 15 minutes. Should we add more in the morning and in the daytime or just skip all of them for the evening? The timing is a little bit complicated on vendors, especially with the new follower tab first five pins things. 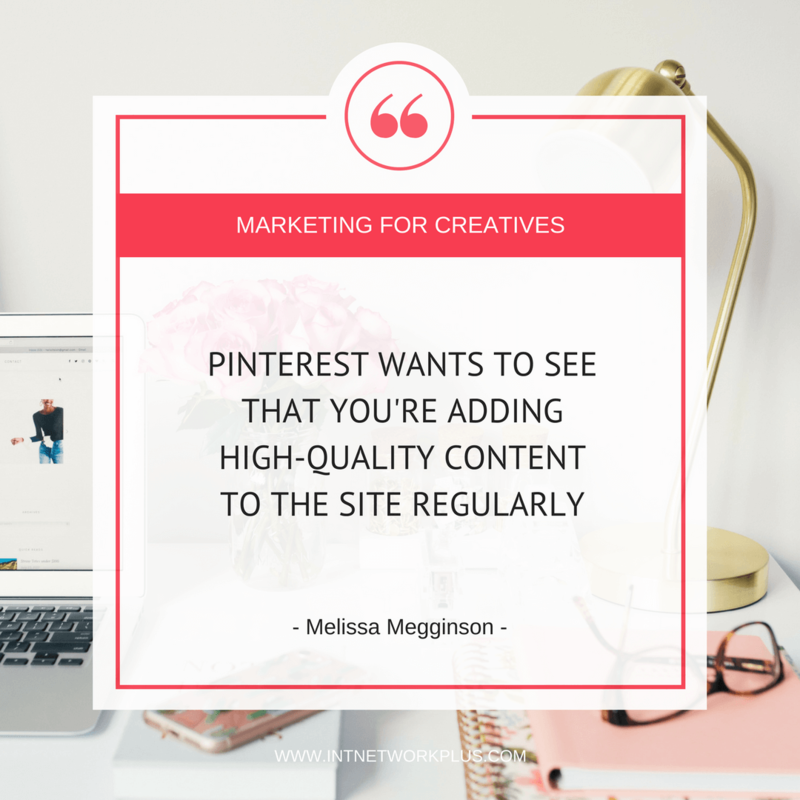 When the pins are going out, it’s a little bit less important unless they’re going to your follower tab because those are getting analyzed by Pinterest’s algorithm and sorted into the right niches and categories and search feeds and all of that good stuff. 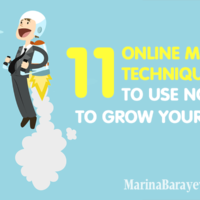 If you feel that your audience will be online and more receptive in the morning, you could add them there. But with our Pinterest, with our Tailwind Smart Scheduler, we are analyzing when you’re getting repin when you’re getting engagement on your pins, click-through, things like that, and recommending this time slot, that’s based on that. Sometimes it can be a little bit strange. It sorts of depends on where your audience is. If you’re in China but a lot of your market is in America or vice versa, then the times may seem a little bit strange. It depends on when your audience is online and engaging with those pins. Right. I think they don’t give it enough time. Pinterest really is a long game and it can take weeks or even months to see the payoff. When you put something up on Facebook or Twitter, if it doesn’t get that engagement within the first day, you know it’s a flop, it’s dead. You’re probably not going to see an engagement on that. However, with Pinterest, it takes a little while for the algorithms to kick in and for people to see your feed and see your pin in the feed, get it surfacing in search results, things like that. I think that’s where a lot of people get disheartened because they’re just not seeing those instantaneous results that they’re used to seeing with social media. Another thing that I think people don’t do or that give up on too quickly is not pinning other people’s content. And as I said earlier, it’s a magazine, not a catalog. 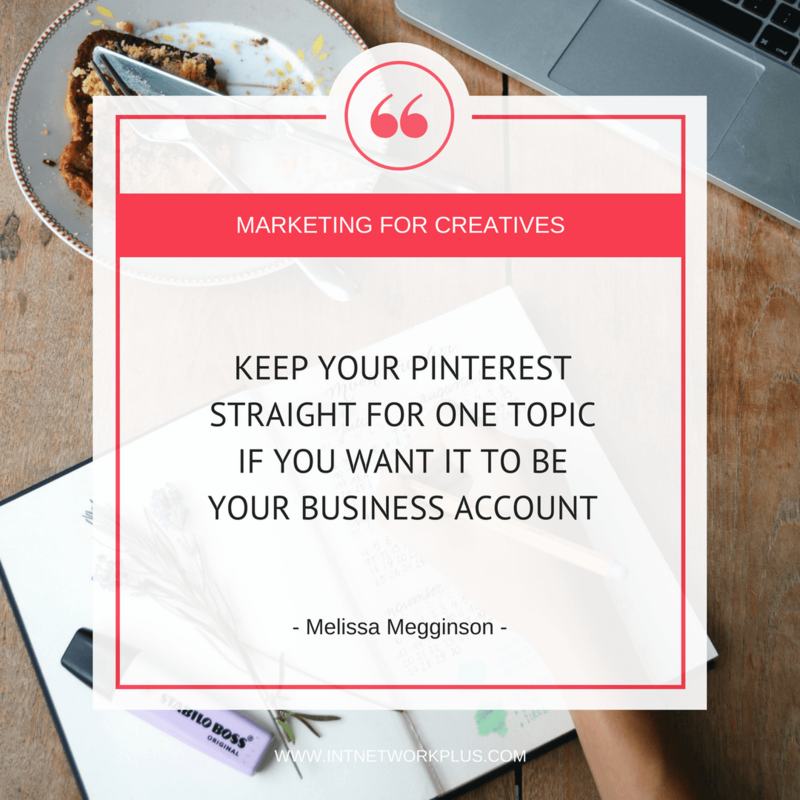 So you gotta be curating it, gotta be sharing this amazing pins from your friends and from your fellow pinners and showing your audience and showing Pinterest for that matter that you are a trusted source of content. When you would share on your own board, I saw different accounts, which for example, some of them can focus on social media or marketing and they can have those content about business marketing, social media, and then they have bunch of different groups where they focus on fashion, or DIY staff, or craft or whatever, would you mix them on your account or would you keep it straight for one topic? I would keep it straight for one topic. If you want that Pinterest account to be your business account. You can still pin fashion and recipes if you are a marketing blog, but maybe make a private board for that. But when you’re pinning about SEO, or about blogging, about things related to your business don’t be afraid to repin other people’s pins and share another people’s content related to what you are doing. What would be your biggest piece of advice for those who want to get more traffic from Pinterest? The biggest piece of advice. I would honestly say see what’s going on with your website. Make sure you have those great images. Make sure people are finding your content so you use that Pinterest source URL. Make sure that you have a pin it button and that you have a follow button on your website. And you’re just sort of Pinterest friendly on your own domain. Cause Pinterest is… I’ve heard people say that social media and Google, Pinterest, SEO is a rented space, where is your domain is your domain. That is your home. Make sure everything is good at home, it will make sure that was rented spaces are also good. Fantastic, Melissa. Thank you so much. Please share with us how can we connect with you and find more about you. Absolutely. So you can find me pretty much anywhere on the Internet at Melmegg M-A-L-M-E-G-G and Tailwind is at TailwindApp A-P-P.
And you can learn more about Tailwind and start a free trial at tailwindapp.com.